Our numbering system (admittedly) is a bit confusing. Len Thompson designated his first production spoon the No. 2 thinking that he would someday manufacture a smaller lure and call it a No. 1. The success of his larger lures lead to the development of other popular sizes like the No. 0, No. 00, and the even larger No. 4. 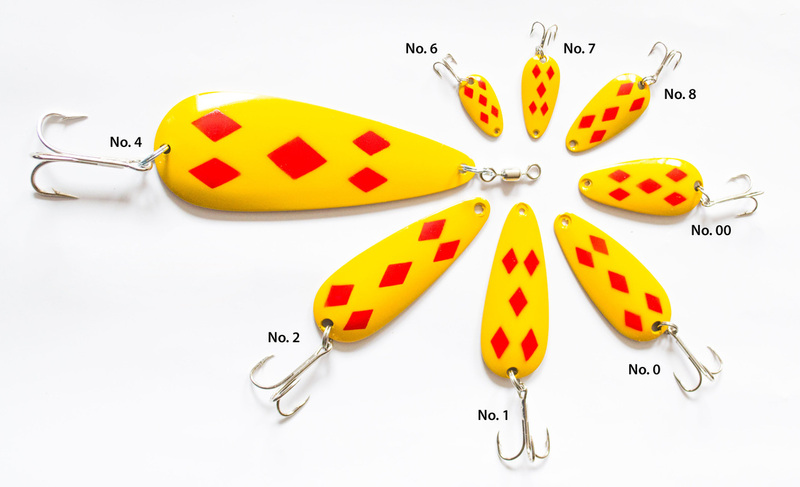 Realizing that he was running out of reasonable numbers, he then began a new sequence of numbers (6, 7, 8) for his smaller "trout-sized" lures in the early 1950's and finally the dimpled spoons (10, 11, 13, 16) were added to the product line in the mid 1950's. Note: Len's numbering "system" left room for a No. 3, but we have yet to produce this size. Many people who fish for the large Lakers in the North ask us to produce a much larger spoon than the No. 4.... maybe someday. 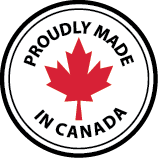 We manufacture each Len Thompson lure with strong, stainless steel split rings and premium quality Eagle Claw hooks. We do, however, recognize that many anglers like to swap out these components based on both personal preference and to follow certain fishery regulations. Here are the sizes of each of our components as reference.